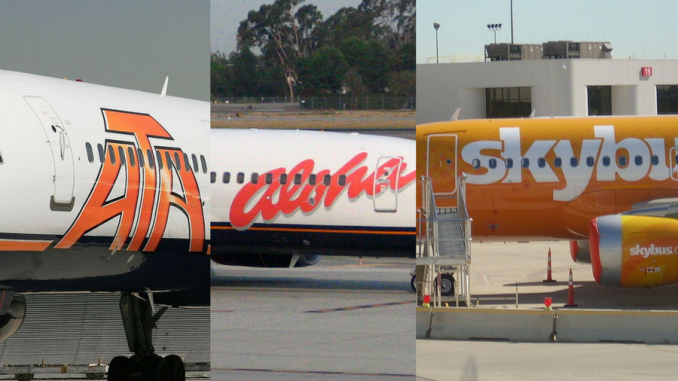 Beginning on March 31, 2008 and lasting through April 5, 2008, three distinct airlines closed their doors in the United States. At the time, the global economy was in shambles with unemployment being up and the price oil holding at an all time high. People were traveling less during this time and airfares along with the cost of travel were rising. This led to three different airlines, with three separate business models to close down. Aloha Airlines had been flying the Hawaiian sky since 1946. The airlines had become a staple of not only inter-island service but also flying between the islands and the west coast of the United States. In 2004 the airline filed for Chapter 11 bankruptcy due to the decline in traffic post-9/11 and the impact from the SARS outbreak in Asia in 2003. Two years later the airline emerged from bankruptcy protection, however, it would not last long. In 2006, as Aloha was getting back on its feet, go! started inter-island service despite protests from both Aloha and Hawaiian. On March 20, 2008, Aloha filed for bankruptcy again citing the rising fuel costs and competition from go!. Ten days later the airline shut down, with March 31st being the final day for operations. The decision stranded thousands of passengers in Hawaii and on the west coast of the U.S. Although not in passenger operations, the Aloha name is still flying. After the bankruptcy, the airline’s profitable cargo division was sold off to new owners, and the company is still flying under the Aloha Air Cargo name. Skybus Airlines was founded in 2004 and commenced operations in 2007, based in Columbus, Ohio. The airline was a modern foray to the ultra-low-cost carrier. Skybus operated an Airbus fleet to sun destinations from bases in Columbus and Portsmouth, N.H.
At the time, the airline advertised $10 fares with the first ten seats sold on each flight being sold for that price with the fare increasing as more seats were sold. Similar to today’s low-cost airline, Skybus made additional revenue from ancillary fees such as bag fees and charges for drinks and snacks onboard. The airline also sold advertising space, using both the inside and outside of the aircraft. The first aircraft to feature this advertising on the outside was sponsored by Columbus-based Nationwide insurance. The carrier based its design on the successful model of Ryanair, which had many similar practices as Skybus. The airline first ran into trouble when two of its aircraft went out of service for maintenance. This caused about 25% of the airline’s services to be canceled. On April 4, 2008, Skybus announced it would cease operations the next day. 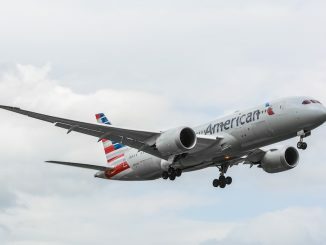 Similar to Aloha, the airline cited the lagging economy and the price of oil as factors for the shutdown. A contributing factor to the shutdown was the decision to base the airline in Columbus, a smaller market compared to most startups. ATA Airlines was an Indianapolis-based carrier that started operations in 1973. The airline catered to holiday travelers and operated both scheduled and charter flights. ATA had bases in both Indianapolis and Chicago-Midway offering flights to the west coast and sun destinations in the south. 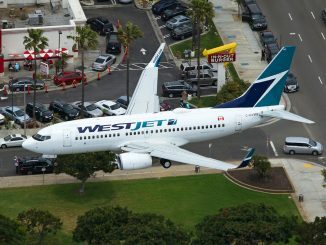 The airline also operated extensive flights between the west coast and Hawaii. In addition, ATA was also used extensively by the Department of Defense for military flights, which the airline found very profitable. Like Aloha, ATA went through bankruptcy in the post 9/11 decline in travel. Exiting their first bankruptcy, ATA became partners with Southwest Airlines and shifted focus to Chicago’s Midway and west coast operations. After exiting bankruptcy ATA attempted to return to profitability, however, rising costs prevented this. On April 2, 2008, the airline abruptly declared bankruptcy and shut down operations. Some flights were still in the air with the final flight arriving in Phoenix from Honolulu at 8:48 am MST. Approximately 10,000 travelers were disrupted from the shut-down. Southwest ended up purchasing the remains of ATA’s hub in Chicago Midway, establishing their dominance at the airport.